There’s more attention, conversation and research being conducted in the realm of male infertility today than ever before. 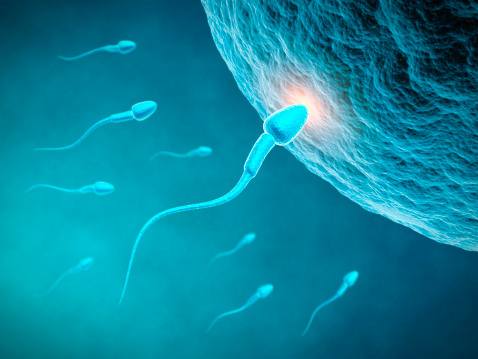 The medical community is finally waking up to the notion that we “seasoned” male fertility specialists have been trying to convey for too many years – fertility isn’t a one-way street or a solely female problem. Now that it is widely accepted that up to half of all fertility problems faced by couples today are a result of a male factor issue, the gates have been opened for discussion, research and yes – hope for a “cure,” especially for men who do not produce any sperm. While it is great to dream, and hopefully the dream of eradicating the most severe cases of male infertility comes true, we are far away from this becoming a reality in 2014 or the foreseeable future thereafter. Unfortunately when we imagine the scenario of a cure for men who can’t produce sperm, we must also consider other possible outcomes that can arise from that scenario. For example, one experimental strategy being discussed is artificially-created sperm for men who are either azoospermic or have other chromosomal issues with their sperm that cause it to be incompatible with conceiving a child. While the idea may sound promising to a man facing this exact problem, imagine one of these artificially created sperm causing a major birth defect in his offspring or eventually leading to cancer. The plain truth is that we just don’t know how manipulating genetic material will affect those children born from experimental procedures, even if we get to the point where we can actually perform them. And for the couple who doesn’t have time on their side in terms of their window of opportunity for becoming parents, “eventually” is a very long time to wait. So I am looking at 2014 in a practical way – helping my patients by giving them options that are tested, proven, approved by the FDA and actually available – NOW. Most will succeed. But filling couples full of false hope and promises of “future” opportunities available to them only leads many to unnecessary despair. No, I will fight the fight against infertility in the trenches of reality, one patient at a time by offering proven and effective therapy with the utmost in personalized care.